Figure 1-12. 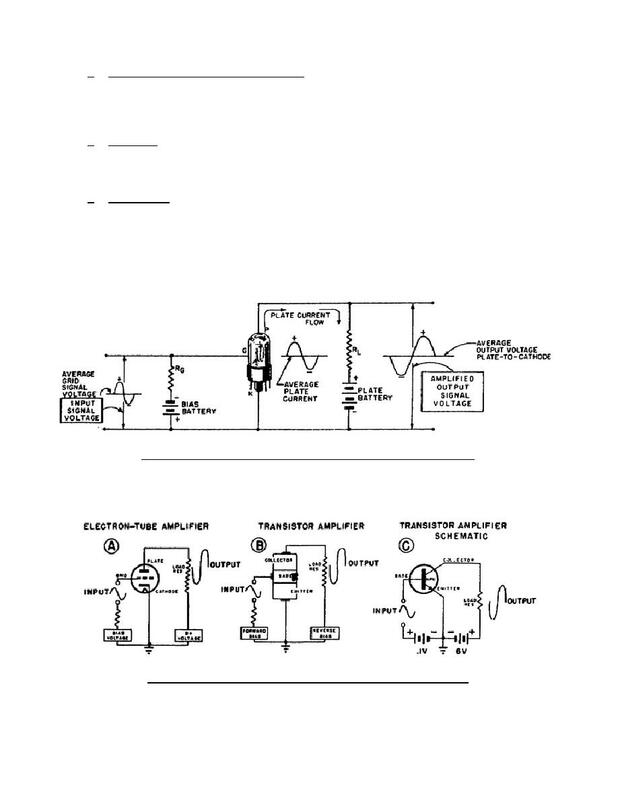 Development of an RF oscillator circuit. specific breakdown voltage with reverse bias. characteristic makes the diode useful as a voltage regulator. diode allows it to serve as a capacitance because of the separated charges. amount of junction capacitance can be controlled by the reverse voltage. designed for this effect of a voltage-sensitive capacitance are known as varactors. current is varied when the input signal is varied. Comparison of input and output waveforms. amplifier stage is shown in A of figure 1-11.